Shortly after founding the Slovak National Gallery also first regional and city galleries began to arise. The regional, district or city national committees have been their establishers, later the regional and city self-governments/municipalisms were their stablishers, extraordinarily other ones. The galleries are defined as collection-forming, scientific and explorative as well as cultural and educational organizations. In December 1951 in Košice East-Slovak Gallery (originally Regional Gallery, later also Gallery of Július Jakoby) arose as the first gallery. In February 1952 it began its presentation activity yet in premises of State East-Slovak Museum by the exhibition of “East-Slovak painters of 19th century”. The Csáky-Dessewffy´s palace has been its first seat. In 1992 it moved into the object of former “District House” (Župný dom) where it has residence up today, and it made its first permanent exposition accessible which was dedicated by it to the creation of Július Jakoby. In 1975 it gained a further object on the Alžbetina ulica street and it extended its activities by next exhibition premises. In its mission the gallery documents the graphic or plastic life in the East-Slovak region, and from past periods it documented above all the art of 19th and 20th century. 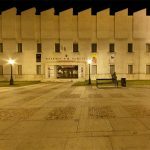 Its collection fund represents approximately 7,000 items, and the compact collection of works from the period of twenties of 20th century is its most significant part when Košice town became a period intersection of various cultures and an unprecedented development of modern art came on. The gallery concentrates also its research and presentation activities also on the phenomenon of Košice Modernism and on the East-Slovak visual scene including the contemporary one. In Liptovský Mikuláš the Liptov Gallery of Peter Michal Bohúň (previously Picture Gallery of Peter Michal Bohúň or only Gallery of P. M. Bohúň) becomes a filling-up of idea of Janko Alexy painter and native of Liptovský Mikuláš. Already in 1949 an intensive collection-forming activity of the town preceded to its official founding in 1955. The gallery arose like the first one in Central Slovakian region and relatively long it fulfilled the role of regional gallery. From its beginning it has residence in the building of former evangelical school from the end of 18th century where also Bohúň acted pedagogically. In the seventies the object passed through one of the most extensive reconstructions and completions of construction from among Slovak regional galleries after all. By finishing the construction for a long time the largest specialized exhibition hall in Slovakia with an area of approx. 450 m2 arose, so-called white cube, with spatially modifiable interior. The gallery has representative collections of the art of 19th and of the 1st half of 20th century which it presents in its permanent expositions. It maps also visual art events in the region; the selection from the 2nd half of 20th century offers the “Personalities” in permanent exposition and in the detached exposition in Gallery of Koloman Sokol in Liptovský Mikuláš, which is managed by it, alike also Gallery of Ján Hála in Važec is in its administratin. For presentation of contemporary events three exhibition spaces serve to the gallery. After all in 2006 like a first gallery, it obtained the title “Gallery of the Year”, which is annually awarded by Ministry of Culture of the SR. In 1956 two galleries were added. 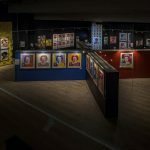 The Šariš Gallery in Prešov (previously Regional Gallery in Prešov, Gallery of Visual/Plastic Arts) arose like outcome of efforts of graphic and plastic arts community at the turn of the forties and fifties. It began its activity in building of former evangelical Collegium (which is not used by it today) successively it enlarged its premises by three neighbouring originally Gothic objects with later reconstructions where it is headquartered up to now. 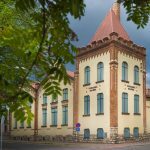 It opened permanent exposition “From Rombauer up to Srvátka” focused on region´s painters of 19th and 20th centuries like the first exposition after all. In the present day the Gallery manages more than 4,200 collection articles/objects of art since 15th century up to present considering the region of North-East Slovakia in which it acts. Within the collection of old art the collection of icons of East-Slovak provenance also collection of wood carvings of 15th – 19th centuries and collection of portraits of 18th – 19th centuries are distinguished by their quality. Currently the Gallery adapts its spaces for permanent exposition; it implements transitional exhibitions in three exhibition halls. 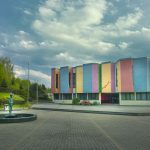 The Central Slovakian Gallery in Banská Bystrica (previously Regional Gallery, Area Gallery, State Gallery) obtained base for its collection fund by transfer from the Central Slovakia Museum. In the past the gallery specialized, besides regional focusing, on research and presentation of artistic graphics thus in extensive collection there is represented almost in complex shape the graphics of the second half of 20th century in Slovakia and selectively also foreign creation. In collection fund a vast collection of works of Stano Filko dominates who is author of generation of Slovak neo-avant-garde of sixties, from older works there is a collection of pictures of Dominik Skutecký from the turn of 19th – 20th centuries which is presented by gallery directly in artist´s villa since 1994. 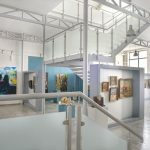 The short-term exhibitions are modified in the buildings of former “Pretórium “ city hall and in Bethlen´s house where the gallery has also its seat/headquarters. Like one of the first galleries in Slovakia it prepares also conceptually exhibitions with educational character. It is the “Gallery of the Year 2016”. In following years next galleries were successively added on the map of Slovakia. Tatra Gallery (1960): first with its seat/residence in Starý Smokovec, later it moved into Poprad. It implements its activities in vast industrial object of former steam power plant in Poprad and in Villa Flóra in Starý Smokovec. The collection of works with the Tatra themes has a relevant place in collection of the gallery. The City Gallery of Bratislava (1961): it is established like city gallery and it is the second largest gallery in Slovakia after the SNG with a number of more than 33,000 collection articles/objects. In its collector´s activity it is directed towards artists and works connected with Bratislava but also to broader Central European context. In its two historic palaces (in Mirbach and Pálfy palaces), in centre of the town, it establishes 6 permanent expositions from Gothic style up to present day, next two ones in premises of city “Primacial palace”. It organizes temporary expositions in 6 exhibition spaces/premises. In 2007, 2010 and 2012 it obtained the award “Gallery of the Year”. The Nitra Gallery in Nitra (1965, temporarily also Gallery of František Studený, then Nitra State Gallery, “Ponitrianska” Gallery) is located in the building of District House (Župný dom). The gallery has not a permanent exposition. It concentrates its activity on Slovak art of the 2nd half of 20th century and on the contemporary art; with this also conceptual replenishment and building of the collection fund and its exhibition activity correspond which is implemented by it in five exhibition spaces. It is a gallery of the year 2014 and 2017. The Orava Gallery in Dolný Kubín (1965) is distinguished by quality of its conceptually built collection fund that contains over 8,600 collection articles/objects. It presents a part of this in 5 permanent expositions in former District House from 17th century. So it provides a compact overview of Slovak art since 15th century up to present day including traditional folk art. In the seat of gallery also two exhibition halls for transitional exhibition are situated. The gallery operates also a detached exposition of works of Mária Medvecká and exceptional exposition of Slovak traditional folk plastic art and painting and of Orava stonecutter´s creation of 18th – 19th centuries in church and in exteriors on “Slanický” island where the visitors will be conveyed by own ship. It is bearer of title “Gallery of the Year 2015”. The Gallery of Miloš Alexander Bazovský in Trenčín (1969, previously also Regional Gallery of M. A. Bazovský) with permanent exposition of this artist; in its expositions, exhibition projects and collection-forming activities it is focused on art of the region with overlaps into the Slovak art of 20th and 21st centuries and on the Slovak art of sculpture of 20th century. The gallery organizes regularly a show of contemporary Slovak chamber plastic art. Also the Gallery of Ján Koniarek in Trnava (1976, previously District Gallery, District Gallery of J. Koniarek respectively) presents the work of founder of Slovak modern art of sculpture after who it is named also the Slovak Classic Art 20th century in permanent exposition. It directs the exhibitions on prominent Slovak artists considering the regional context and mapping of shape of contemporary picture and new media. In the building of Synagogue (centre of contemporary art) it prefers site specific projects. In the long term it organizes the International triennal event of poster. 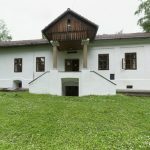 Initially the Považská Art Gallery in Žilina (1976) focused its collector´s activity on drawing; the Slovak contemporary drawing including works of authors of nonofficial scene forms more than one half of the collection fund. Since 1990 the gallery is concentrated on post and neo-conceptual art and new media in a collector´s and exhibition-like way. Except for permanent exposition of Vincent Hložník it establishes the first and unique exposition of intermedia in Slovakia today. The Art Gallery of Ernest Zmeták in Nové Zámky (1979, previously also Art Gallery, Gallery XC, “Požitavská“ Gallery) arose at the instance of Ernest Zmeták artist and art collector. The artist´s present is presented in Permanent Exposition of European Art of 16th – 19th centuries. The gallery establishes also a permanent exposition of Lajos Kassák and it implements regular presentations of art of 20th and 21st century with focusing on the Slovak, Hungarian and Czech Arts. A comparative Slovak-Hungarian exhibition cycle PERTU is iconic project of the gallery. It is the “Gallery of the Year 2016”. In the eighties following galleries arose successively: the Novohradská Gallery in Lučenec (1980) that since 2004 is functioning as the part of Novohrad Museum and Galleries; further regionally focused the Kysuce Gallery in Oščadnica (1981, previously it was Kysuce Gallery in Čadca) which successively builds also an exterior sculptor´s exposition in precinct of forest-park which surrounds it; next gallery arisen in that period is Turiec Gallery in Martin (1983, previously the Gallery of Fine/Visual Art) which, except for artists of Turiec, concentrated on founder´s personalities of Slovak Modernism with special regard to the creation of Mikuláš Galanda and Galanda group; the “Záhorie Gallery of Ján Mudroch” in Senica (1984, previously only Záhorie Gallery) has not a permanent exposition, except for collection and exhibition activities it is also in a publication way intensively concentrated on documenting the most relevant personalities of the region; the Gallery of Spiš´s artists (1987) is directed to the art of the Spiš region which is presented by it in three expositions: Terra Gothica, Jozef Hanula and Garden of Art – and it works intensively with contemporary generation of artists from wider region. In the nineties in after-revolutionary enthusiasm the Museum of Modern Art of Andy Warhol in Medzilaborce (1991) arose. It is dedicated to personality of pop-art king; permanent exposition intermediates materials on his origin and various facts from his life, approximately 200 his works from varied creative periods and in the third part it confronts the pop-art and street-art represented by the best world´s artists. Also two galleries being established by the cities, by town parts respectively, were added: the Museum of Vojtech Löffler in Košice (1993) with regard to creation of this artist, with a collection of self-portraits of Košice artistic scene of the twenties and the thirties and with exhibition activities; the City Gallery in Rimavská Sobota (1996) is functioning like a part of City Cultural Centre and it is focused especially on collecting and presentation of creation of contemporary artists, particularly intensively of the youngest generation. City galleries of local meaning, mostly as a part of town cultural centres, were added in register of galleries also after year 2000: Gallery of Mikuláš Galanda inTurčianske Teplice (2002), Gallery of Peter Matejka in Nové mesto nad Váhom (2002), Gallery of Humenné town (2005), City Gallery of Július Barta in Štúrovo (it arose in 1993, registered in 2006). The Memorial House of Július Szabó in Lučenec established by civil association is the youngest registered gallery´s institution, the only being established by other establisher than the State or self-government. Except for the here stated galleries, by various establishers at the end of nineties and after year 2000 also those galleries have been founded and registered also enrolled in Register of Museums and Galleries of the SR that are constantly active, and some of them terminated their activity after a short time: Gallery „T“ in Komárno, City Gallery in Dobšiná, Gallery of Slovak Savings Bank, Museum of Milan Dobeš and the Gallery of Cyprián Majerník (the last three are of Bratislava). All mentioned galleries are/have been enrolled in the Register of Museums and Galleries of the Slovak Republic resp. ; from this fact a duty to follow in performing of specialized activities the Law No. 206/2009 of Coll. of laws on museums and galleries and on protection of articles/objects of cultural value and the Decree of Ministry of Culture of the Slovak Republic from August 10, 2015 No. MK -2544/2015 -110/11648 on details of performing the basic specialized activities in museums and galleries and on reporting and register of articles/objects of cultural value. From this aspect the Danubiana Meulensteen Art Museum in Bratislava (2000) has a special status. Originally a private collection-forming gallery since 2011 when Gerard Meulensteen decided to dedicate his museum to Slovakia it functions as a non-profit organization in which also the state has its representation and it participates also financially in its support by means of the Ministry of Culture of the SR. However, the gallery is not registered in the register of MC of the SR, similarly as some further private galleries and galleries being established by third sector, which build their collections (e.g. Gallery Nedbalka, Zoya Gallery & Museum, This! I gallery, Gallery Lomnica and other) and it is not managed by the indicated legislative.